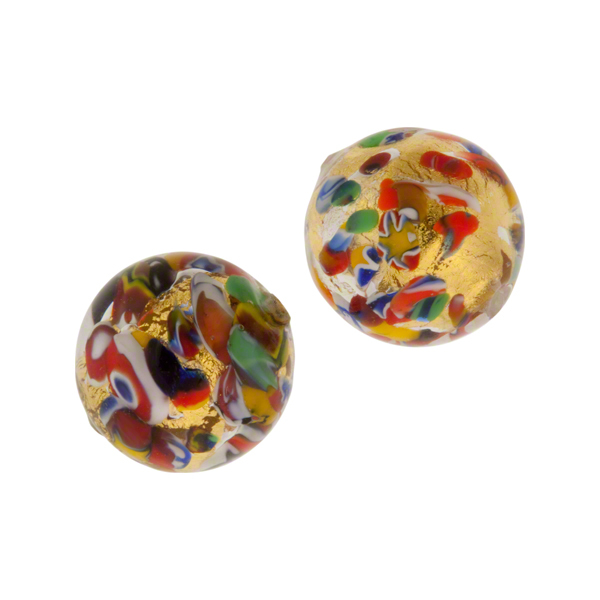 Authentic Murano Glass bead in our KLIMT design, named after the famous painter because of his use of bright colors. The size is approximately 10mm round though it varys as they are handmade with a 1mm hole which runs through the center. 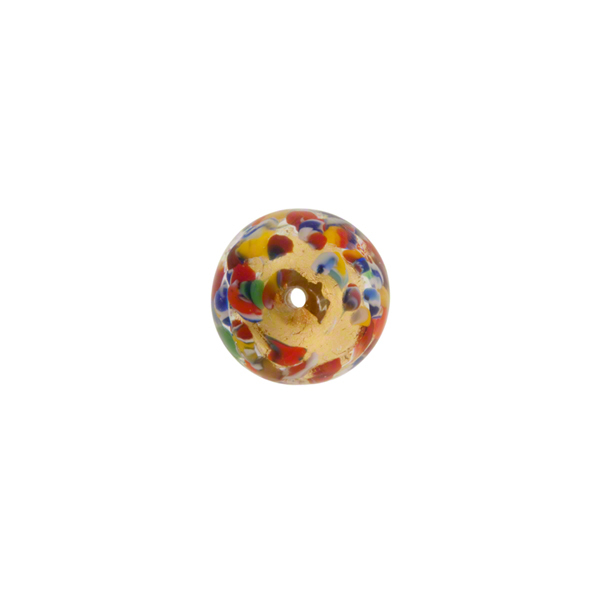 The bead begins with a base of clear Murano Glass which is wrapped in 24kt Gold Foil with the fragments of brightly colored Murano Glass and chips of Mosaic are applied. 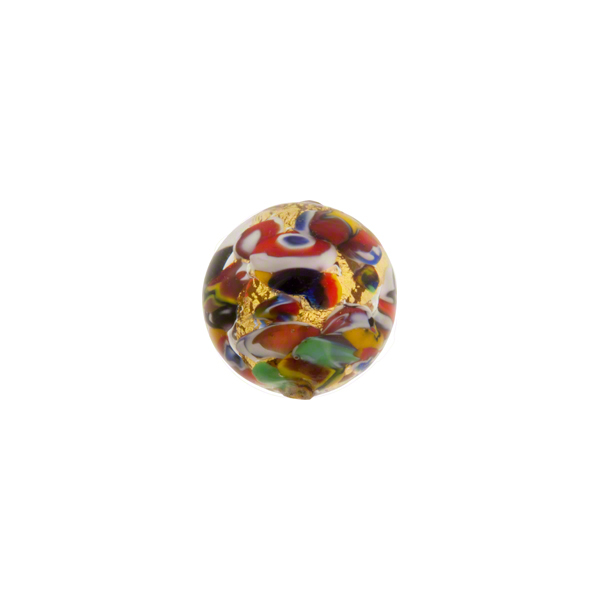 The entire bead is then encased in clear Murano glass giving it depth. The placement and exact colors and mosaics are completely random and no two beads are ever exactly alike.